2017 is a turning point in the history of Barbuda. Due to the devastation of Hurricane Irma, this small Caribbean island currently has no human inhabitants. As Ambassador Ronald Sanders, Antigua and Barbuda’s ambassador to the U.S. since 2015, said “ For the first time in 300 years , there’s not a single living person on the island of Barbuda — a civilization that has existed on that island for over 300 years has now been extinguished.” All of Barbuda’s citizens were evacuated to the neighboring island of Antigua. Barbuda has a much longer history of human occupation than 300 years though. Barbudaful provides an article on the island’s earliest inhabitants, saying that they probably arrived from the Yucatan peninsula in Mexico about 3000 to 4000 years ago. These were hunter gatherers who traveled to the island by canoe. They did not use ceramic, but had tools made from chert, created blades from the bodies of large gastropods, and used a variety of shells as vessels. 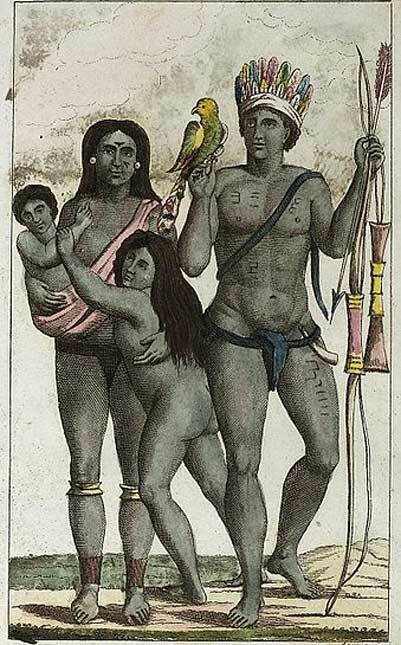 The next group of individuals to arrive in Barbuda were Arawaks, also known as sub-Tainos people, who came from the area of modern Venezuela and Guyana about 2000 years ago. This cultural group had a greater knowledge of agriculture and they cultivated a variety of fruits, vegetables, and medicinal plants. Seafood, birds, and small mammals augmented the Arawak diet. The Arawak people were also skilled at pottery making. The final pre-European group to live on Barbuda, if only seasonally, were the Caribs. 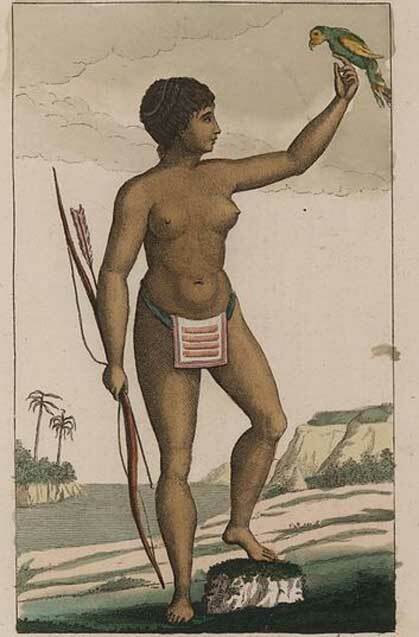 The Carib people have been depicted as generally more warlike than their predecessors on Barbuda and they caused difficulties for the later European inhabitants. Shell and ceramic remnants left by the earliest inhabitants of Barbuda were relatively easy to discover across the island and several archaeological projects have been carried out over the years. Two of the most fascinating discoveries made to date are the skeleton of an Arawak man called ‘George’ (named after the hurricane which exposed his grave) and a Carcharodon megalodon (an extinct shark) tooth. Dutch, Spanish, French, Portuguese and English explorers all tried to settle the Caribbean islands, including Barbuda, but according to The Commonwealth website, it was Britain which eventually annexed Barbuda in 1628. Pirating, poverty, battles with the Caribs, and natural disasters took the lives of many people who tried to settle the islands in the early years following European contact. Then the Codrington family “owned” the island from 1680 to 1860. The Codringtons were plantation owners and slave traders, who gained wealth and political power through sugar and slavery. It is said the Africans who were brought to Barbuda at that time came from the Ibo, Yoruba, and Ejo tribes of Nigeria, and from Ghana, Gambia, and Sierra Leone. White servants were also brought from the United Kingdom to serve the Codrington family. Two major slave revolts took place on Barbuda in the 1740s; this practice continued on and off until “Barbudans freed themselves from slavery” (Barbudaful asserts the British Parliament did not name Barbudans in the Slavery Emancipation Act of 1834). In 1860 Barbuda was annexed to Antigua.